Personal branding is in essence ‘personal’ – it starts with you, no one else. Now, if you’re not bursting with self-belief and confidence, this is a scary thought. You’re stepping out from behind the mask of anonymity and saying to the world “I know what I am talking about and I have something important to say”. Building a personal brand does not start with a logo, it starts with you! 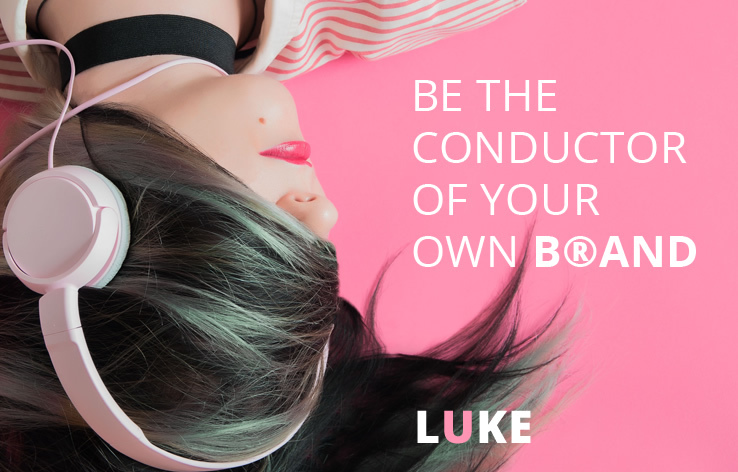 A successful personal brand can only be successful if it is an extension of who ‘you’ are, not who you’d like to be or who you think you should be, or even who others might want you to be. It’s not about pretending to be someone else. What’s the real power of ‘you’? Developing a strong ‘authentic’ personal ‘you’ brand can without doubt dramatically increase your influence, credibility, visibility and product or service reach. You develop a strong personal brand by playing to your strengths being aware of your weaknesses and emphasising what makes you different from the competition. What stops most of us playing to those strengths (and it will come as no surprise to most of you) is fear. Sometimes we overcome these fears by pretending to be something we are not. Don’t keep your opinions to yourself! You can be the most knowledgeable and brilliant mind in your chosen field of expertise but, if you’re as quiet as a church mouse no one will ever know and no one will ever get the benefit of that expertise. The risk of speaking up is that not everyone will agree with you and not everyone will be interested in what you have to say. Don’t let that stop you! What ‘you’ have to say is important, don’t keep it to yourself. Be aware of what you share! Every tweet you do, every FB update you post and every Instagram image you share says something about you. It’s the footprint that leaves an impression for a long time to come. You are what you do and what you say so ‘be purposeful’ in what you share. Take control of it, be sensitive to it and treat it with respect. Remember: YOU are your most valuable asset. Protect it, nourish it, feed it and you will be perfectly equipped to make the most of it. Let’s face it; building a powerful personal brand is no walk in the park. Whatever your skills someone else has more. Whatever knowledge you possess, someone else has more. However loud you shout, someone will shout louder. It’s difficult to make a difference especially in the beginning. So what can you bring to the table? Show up with kindness, generosity, enthusiasm, honesty and compassion. Many people these are just hollow words but if you build your brand on them you will create a magic that will be difficult to resist. Talk to and not at your audience. Take control of your brand now  It’s more important than you think!